Nebula Exchange is a cryptocurrency exchange based in Singapore that will be offering leveraged trading on cryptocurrency pairs. For now, however, it is still in beta and is not operational. However, it seems to have big plans and makes some impressive promises. One of the main distinctions would be that Nebula Exchange will offer the smaller altcoins that cannot afford to appear on the major exchanges, the opportunity to get listed on its platform, for a small fe. Nebula, a French exchange, seems to be on the right track. The platform recently reported on the success of their private beta. As a result of this, they will not launch a public beta but will go straight to a platform that trades live funds on April 30th. While giving a statement concerning this launch, the founders of the platform had this to say: “Our private beta release went really well and as a result of that, we will proceed to begin live trading before the end of April. We value our community and the feedback we have received so far. As we begin live trading, we will not charge any fees until we are sure that the community is content with the services we are offering on the exchange. 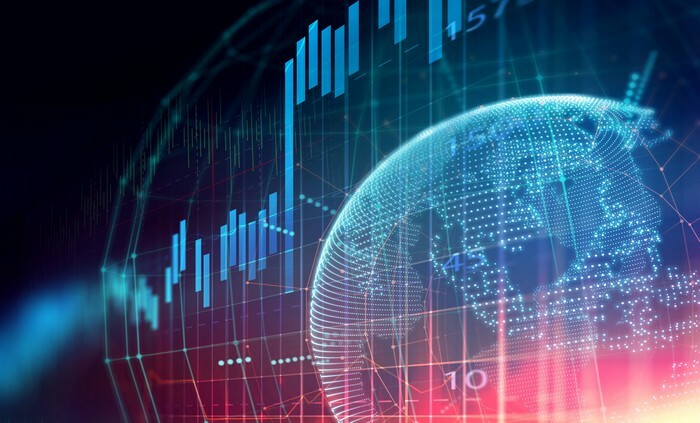 The team went on to further state that account deposits will be available from the last week of April and live trading should begin by the end of April. This is significant and it goes on to show the commitment the team has towards the development of the platform. For the bounty hunters, the platform will launch two programs giving users a chance to create logos and emojis. Surely, Nebula is aiming to live up to its word of enabling cryptocurrency projects. Ability to trade security tokens. A community where users can rate different tokens. Encryption and security features to ensure the safety of funds. Margin trading that allows for leverage of up to 10x. Get rewarded and earn points for writing token reviews, inviting friends to the platform and generally being an active member on the platform. Multiple tokens pairing that also allow for fiat pairings. The platform has a simple trading interface that can be accessed on mobile, and on the web. On current and leading exchanges such as Bitfinex and Binance, it is quite difficult for digital currencies with a small market cap and shallow order books. This is because large exchanges tend to list digital coins, which have an opportunity to attract more buyers and traders. The result is that digital currency traders rely on exchanges such as OKEx and Huobi for coins with a small market cap. 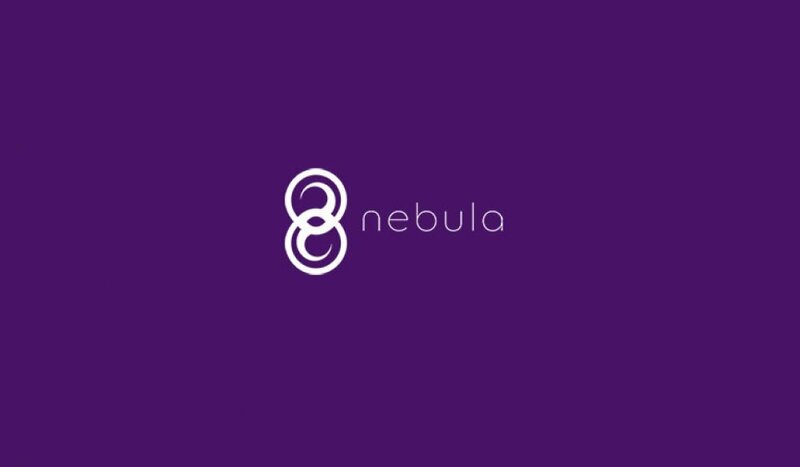 According to the development team working at the Nebula Exchange, this exchange was built with orphaned projects in mind. These projects have been unable to find an affordable listing. It is going to support digital currencies and blockchain projects abandoned by digital currency trading platforms. Some of the major exchanges have a listing fee that ranges from $50,000 to over $500,000. This is a figure, which small projects cannot afford. Margin Trading (Trade with up to 10x leverage on selected pairings). So many users can find different and useful features for theirselfs. Beta. As we already said Nebula Exchange is still in beta mode and cannot be used for now. It allows sign-up, but it only adds you to a waiting list for a private beta that is yet to be launched. Timeline. 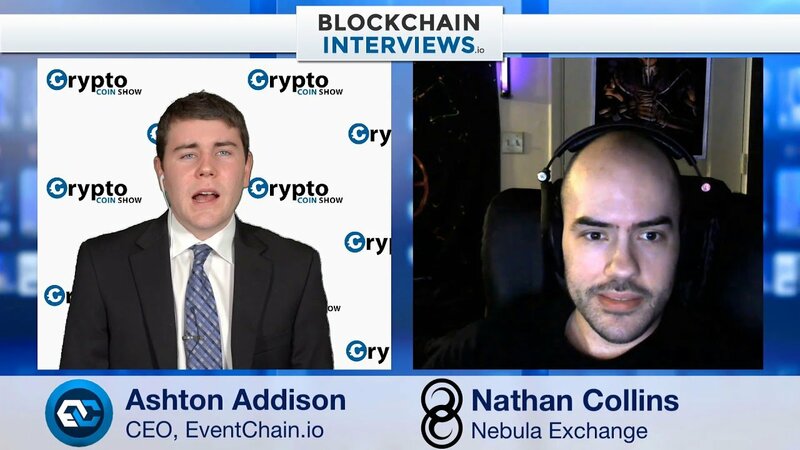 There is no definitive timeline about when Nebula Exchange is planning to launch its full operations, except some vague promises to do so in April 2018, made on its Facebook page. According to previous reports in NewsBTC, the exchange was going to launch in March, but obviously it has been postponed. Leverage. Nebula Exchange will allow for users to trade with up to 1:10 leverage through the use of derivatives. The nice thing about Nebula Exchange is that a client can use their account both for buying and selling cryptos and for leveraged trading. Demo. There is a nice demo of Nebula Exchange’s trading platform, with charts from TradingView, depth of market, order book, etc. Fiat trading. Nebula Exchange will also offer the option to buy and sell cryptocurrencies for fiat – EUR and USD, with a simple KYC procedure and secure deposit options. Wallet. Nebula Exchange will also offer a multi-signature wallet. Coins. Although we could not find a definitive list of the coins available for trading on Nebula Exchange, we notice that there will be some more obscure tokens and altcoins that seldom appear on other exchanges, if at all, in addition to the popular ones like Bitcoin, Ether, etc. Proposals. In the light of Nebula’s intentions to offer a platform for obscure coins, developers have the option to propose their coin for listing, by filling in a brief form on the site. Ratings. Traders will be able to vote and rate the various projects and coins on the exchange, similarly to products ratings in online stores like Amazon. 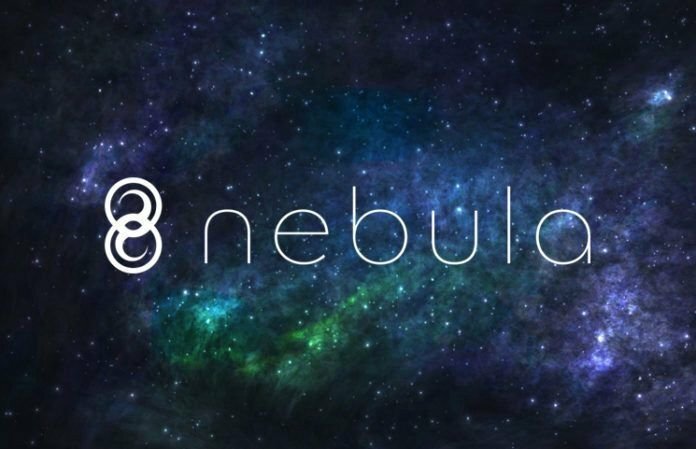 Thus scams, worthless investments, pump & dumps, and projects with no substance, clear vision, and strong developers will receive poor ratings, giving newcomers and casual traders a more efficient method of segregating projects.The altcoins and projects with high ratings will be rewarded with free advertising on Nebula’s front page. Security. Nebula promises multi-signature encrypted cold storage of client funds, in order to prevent hacks and thefts. Mobile apps. In addition to everything else, Nebula promises the launch mobile application for Android and iOS devices that will enable clients to trade on the go. This is still in the works, though. 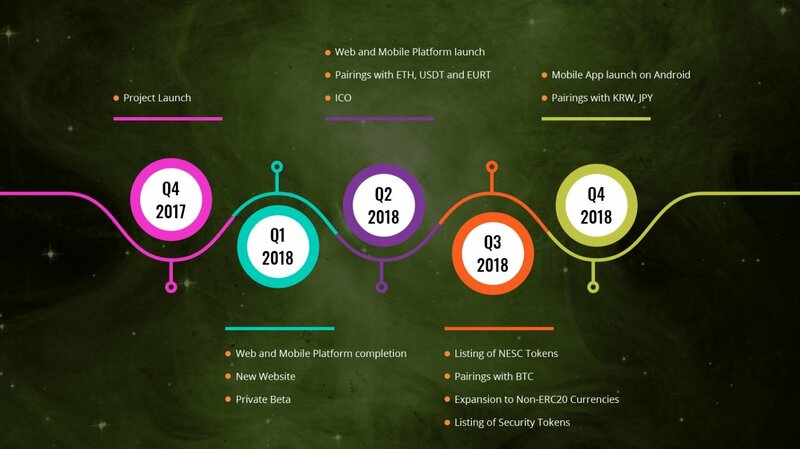 The Nebulaproject also boasts a detailed roadmap, which took into account all the subtleties and main features. It is for this reason that this project has received good assessments from experts. Nebula is not only a project with a good idea and thoughtful implementation, but also an experienced team that possesses all the necessary skills in this segment of the market. You can get acquainted with the main participants of this platform on the following photo. 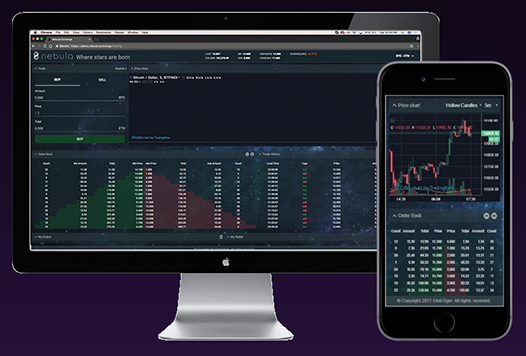 Nebula exchange also comes with a reputation system, which will allow users and the traders to rate projects. This system will work in a similar manner to how goods are usually rated on e-commerce sites such as Amazon. Scams, pumps and dumps, worthless projects, and projects with no clear business plan are going to get poor ratings. This will help casual traders and newcomers to have an easy way of segregating the chaff from the wheat. In spite of the little promoting inadequacies of the undertaking, the site and documentation look average and have a decent potential for a fruitful section into the world market. Above all — the group as of now has an extremely working venture, there is something that they can truly indicate financial specialists. Enthusiasm for the task is quickly picking up force, and fuel its expanded level of security, guaranteed by the group of its makers.